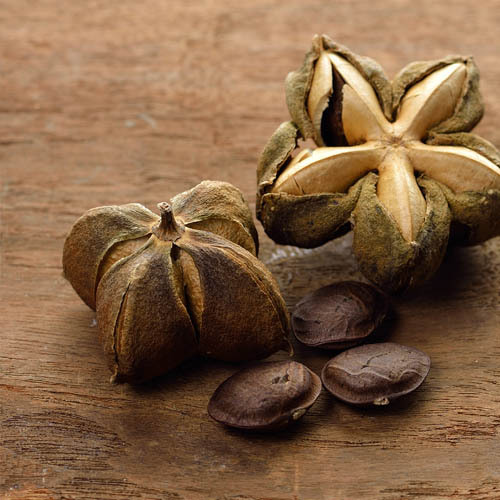 Sacha inchi is much more than just a pleasant snack food. These seeds are rich in protein, omega 3, 6, and 9, alpha tocopherol vitamin E, carotenoids (vitamin A), and fiber. This superfood is easily digested and unlikely to cause allergies or irritation. The oil is also available. It has a similar flavor to olive oil, just slightly lighter and nuttier, but it contains more protein and omega 3. Vegans and vegetarians should look into omega 3 rich foods to supply this essential nutrient. There are very few plant foods that supply a decent amount. Sacha inchi now joins purslane, chia seeds, flaxseed, and microalgae as vegan omega 3 superfoods and another way to sneak more healthy essential fats into your life. The studies are thin this early on, but sacha inchi is showing promise in many areas. 6. Diabetes – Omega 3 helps control glucose levels. Many doctors and researchers argue that omega 3 may actually reduce insulin resistance in those with type 2 diabetes. Omega 3 also lowers triglyceride levels, which are often high in diabetics. 7. Bone Health – Omega 3s help the body absorb calcium. Foods rich in omega 3 improve bone density, staving off some of the deterioration that occurs as we age.